Money Hacks Carnival #96, December 23rd, 2009 - The Holiday Edition. Money Hacks Carnival #96, December 23rd, 2009 – The Holiday Edition. Welcome to the 96th Edition of the Money Hacks Carnival December 23rd, 2009 – The Holiday Edition. This is the personal finance and money blog carnival sponsored by the Money Hackers Network. Thanks for reading, and please subscribed to my RSS feed! Happy Holidays, and I hope you enjoy. 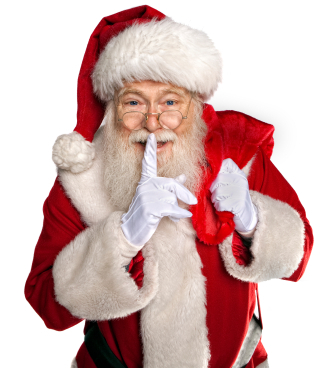 Editor’s Picks – The legend of Santa Claus can be traced back hundreds of years to a monk named St. Nicholas. The name Santa Claus evolved from Nick’s Dutch nickname, Sinter Klaas, a shortened form of Sint Nikolaas. The poem, “Twas The Night Before Christmas” shaped our modern image of Santa and was written in 1822. Jeff Rose presents 401k Rollover to IRA: How To Consolidate Your Retirement Accounts posted at Jeff Rose. Peter presents How Much Money Do You Save By Wearing Nice Clothes? posted at Bible Money Matters. MLR presents Personal Finance Lessons From Some Board Games posted at My Life ROI, Getting the Best Return On Life. 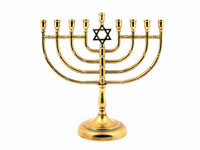 Investing – Menorahs come in all shapes and sizes. The only requirement is that the flames are separated enough so that they will not look too big and resemble a pagan bonfire. Ancient menorahs were made of clay. Today’s menorah, which stands on a base from which the branches sprout started to appear towards the end of the Middle Ages. 20smoney presents Why Do So Few People Understand Investing? posted at 20s Money. D4L presents 8 Dividend Stocks Delivering Tangible Value posted at Dividends Value. Paul Williams presents ETFs Can Be a Terrible Choice for Monthly Investors posted at Provident Planning. Writer’s Coin presents Is Option Trading Really That Complicated? posted at The Writer’s Coin. Debt & Credit – Dr. Maulana Karenga, professor and chairman of Black Studies at California State University, Long Beach, created Kwanzaa in 1966. After the Watts riots in Los Angeles, Dr. Karenga searched for ways to bring African-Americans together as a community. PT presents Do You Charge It? Charge Cards 101 posted at PT Money. Frugality & Saving Money – In the Greek and Russian orthodox churches, Christmas is celebrated 13 days after the 25th, which is also referred to as the Epiphany or Three Kings Day. 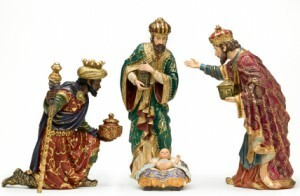 This is the day it is believed that the three wise men finally found Jesus in the manger. PF Credit Cards presents How to Save Money on Health and Beauty Aids posted at PF Credit Cards. Jason presents Birthdays on the Cheap posted at Live Real, Now. DR presents Why Some Online Credit Card Applications Say ‘Hurry Up And Wait’ posted at The Dough Roller. Bucksome presents It?s One of Those Months posted at Buck$ome Boomer’s Journey to Retirement. B Simple presents Simple Personal Financial Tips – What’s in your wallet? posted at Simple Financial Lifestyle. Paul @ FiscalGeek presents Free Gift Wrapping Using Unconventional Materials posted at FiscalGeek. 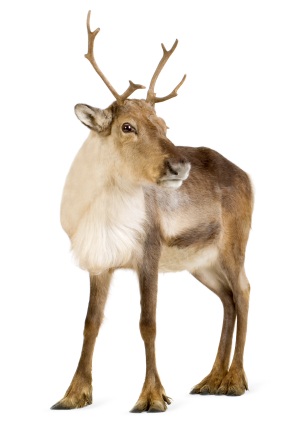 Taxes – Rudolph, “the most famous reindeer of all,” was the product of Robert L. May’s imagination in 1939. The copywriter wrote a poem about the reindeer to help lure customers into the Montgomery Ward department store. Adam Williams presents Tax Planning Series: Have you done everything you can for 2009? posted at RabbitFunds.com. Darwin presents FICA Tax Rates 2009, 2010 – How They Work and Why They Matter posted at Darwin’s Finance. Miss M presents Year End Tax Moves for 2009 posted at M is for Money. 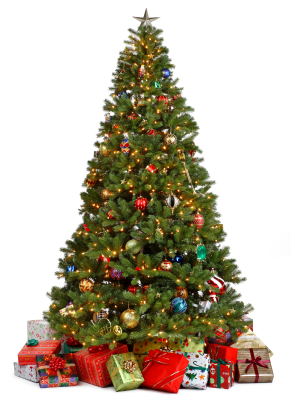 Other – Did you know Christmas trees are grown in all 50 states including Hawaii and Alaska? Evergreen trees were an important symbol of winter solstice celebrations. Christmas trees have been sold commercially in the United States since about 1850. WellHeeled presents Pure Altruism – Does it Exist? posted at Well-Heeled, with a Mission. J.D. Roth presents Nobody Cares More About Your Money Than You Do posted at Get Rich Slowly. Matthew Paulson presents Why Peer to Peer lending Works When Lending Money to Friends Doesn’t posted at American Banking News. Studenomist presents Is Travel Worth It In Your 20s? posted at Studenomics. LeanLifeCoach presents Sam Walton’s Rules – Personal Finance Meets Retail posted at Eliminate The Muda!. Kyle C. presents The Foreclosure Process posted at Suburban Dollar. Super Saver presents Incentives to Retire Early posted at My Wealth Builder. Thanks for the include, great job on this one! Nice holiday theme with interesting factoids. Thanks for including me and happy holidays. Thanks for the mention. I am jealous of how awesome your blog theme is! Thanks for the editor’s pick. Great job – very interesting santa claus facts!